Hair color allergic reactions are something that users need to be aware of and consider carefully before choosing to use a hair coloring product. While they are rare, harmful side effects from medication and other products are possible and these make up part of the law suits that fall under personal injury cases. Of course, most manufacturers are going to try and minimize the severity of the side effects that are possible, and the same holds true for Just for Men. “One of the active ingredients is PPD, p-Phenylenediamine, which can cause a reaction in some people. Studies have shown that less than 5% of the population may experience some allergy, which can range from minor irritation, rashes and swelling to burning, though severe reactions are rare. Manufacturer directions instruct users to do a 48-hour skin allergy test prior to use to detect and avoid any reactions” (Wikipedia). PPD was named “Allergen of the Year” by The American Contact Dermatitis Society in 2006 in an effort to bring light to the risks the chemical poses to its users, especially the possibility of severe skin reactions after exposure to the chemical in hair dyes. These reactions are especially serious in people who use darker colors of dye, which could expose them to higher levels of PPD. Additionally, Just For Men also lacks procedures which can accurately test for reactions on delicate facial skin prior to use. While the dye’s instructions call for testing on the arm to check for allergies, the skin on the face is much more sensitive and may not react similarly. Men who show no reaction to the dye on their arm may have a completely different reaction to Just For Men mustache or beard dye on their face. Severe chemical burns- severe blistering burns caused by the chemicals in the coloring are common, especially for men with skin conditions or sensitive skin. Facial swelling- severe allergic reactions can happen that cause swelling and pain in the area where the coloring product is used. Severe irritation- hives, rashes, peeling skin, cracked and bleeding skin, sores, and blisters have happened with those who have tried the Just for Men hair and beard coloring products. 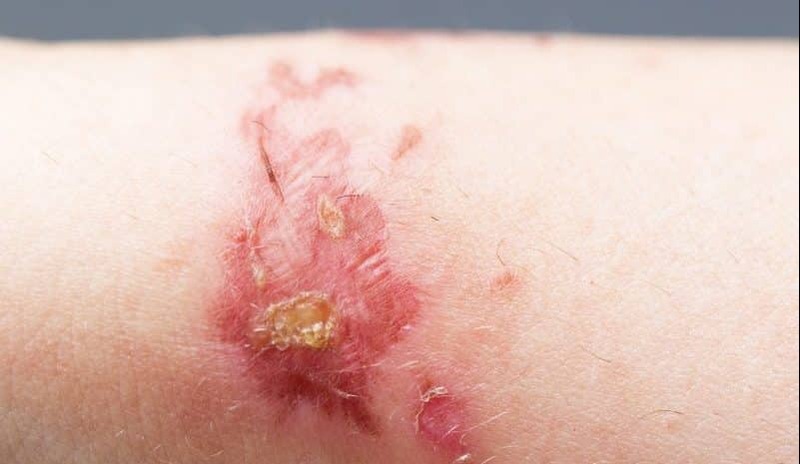 Scarring, scabs, or lesions- risk for infection from sores is high, and the effects can be painful and last a long time. Skin changes- redness, changes in texture, and changes in skin color can also happen even when the initial damage from the side effects or allergic reactions have healed and faded. Disfigurement- scar tissue can form from the severe reactions and this can leave the face disfigured permanently. While they are rare, harmful side effects from medication and other products are possible and these make up part of the law suits that fall under personal injury cases. Call us today so we can review your case and help you fight for any compensation that you are owed!